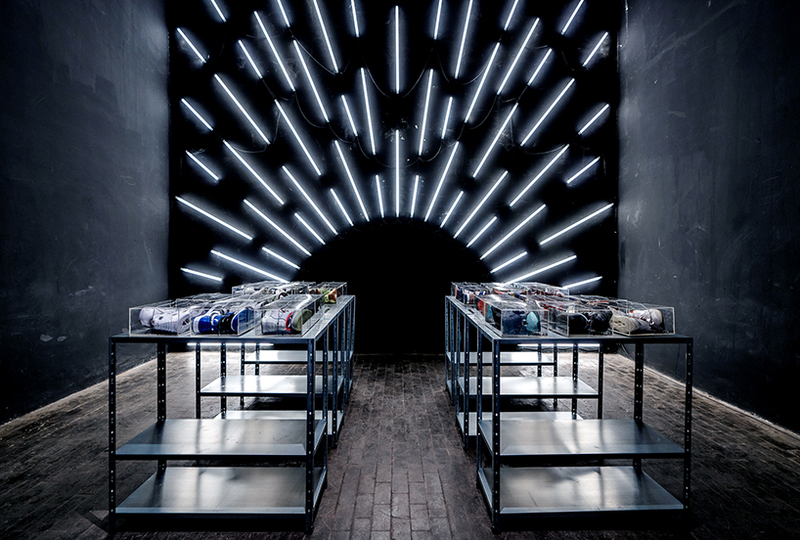 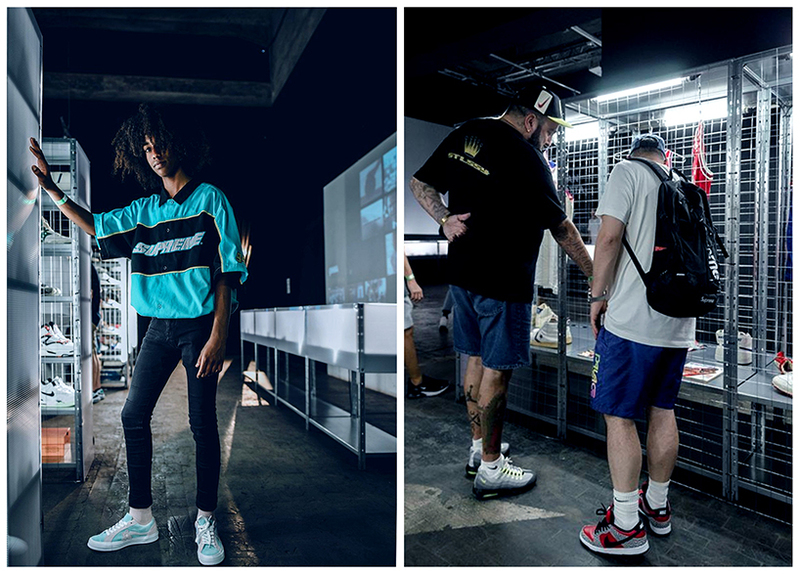 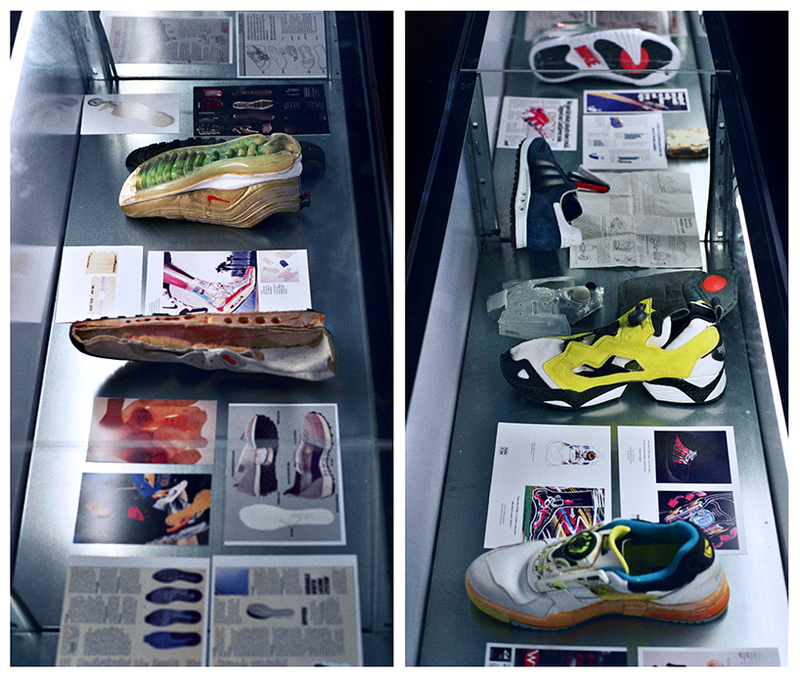 designed by pasquale iaconantonio and vincenzo guarini, the sneaker expo 2018 is a part of ginnika, a rome-based hub for sneakerheads and artists that promotes urban culture since 2014. showing over 500 shoe models and other sports memorabilia, the exhibition uses materials and colors that reflect the movement’s spirit. 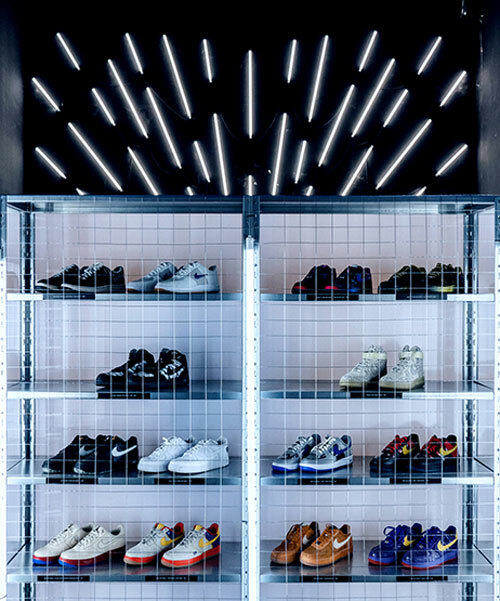 for the exposition, the architects have selected metal as the main material — this approach has created a sense of closeness to the street culture. 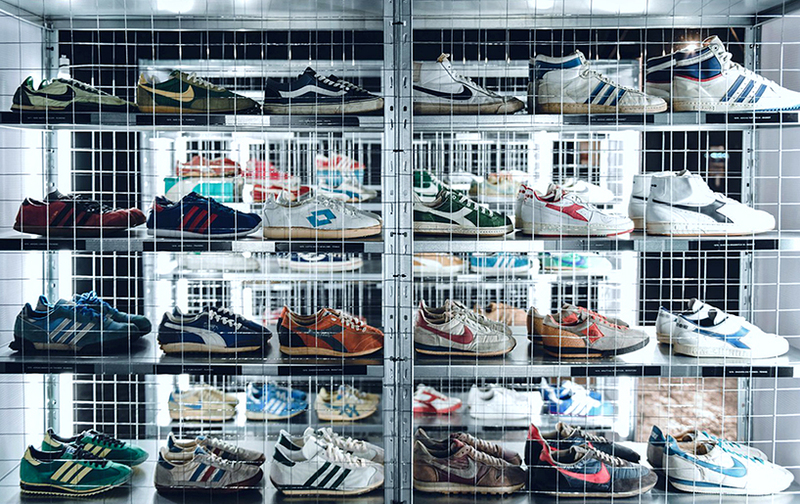 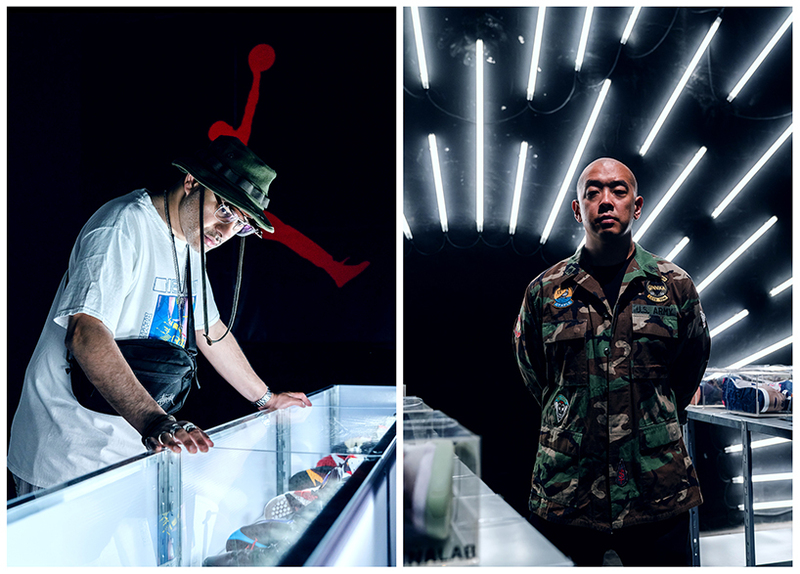 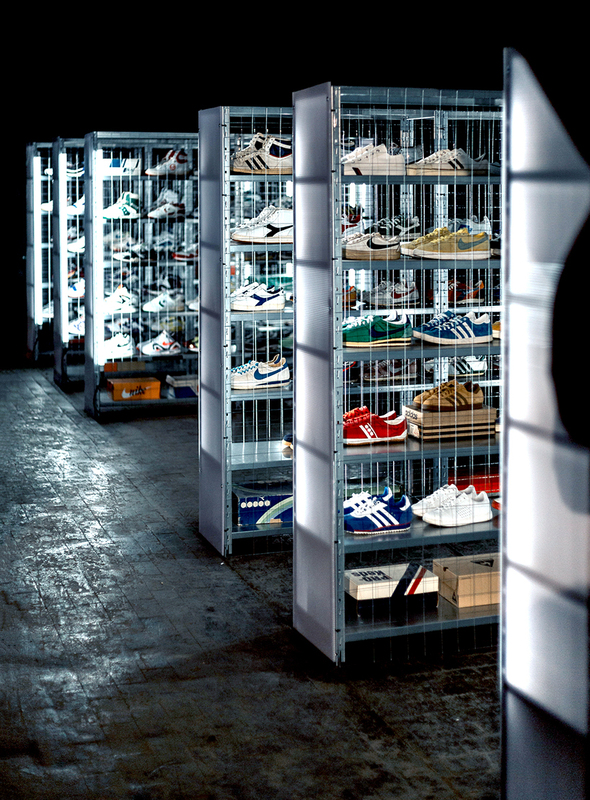 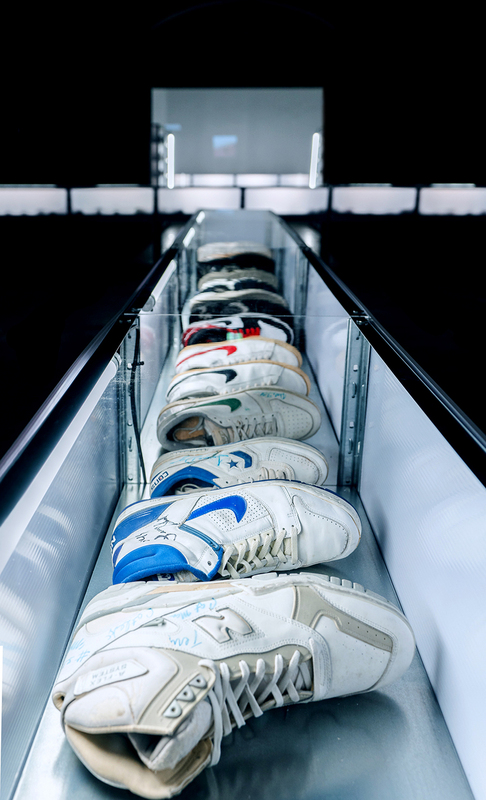 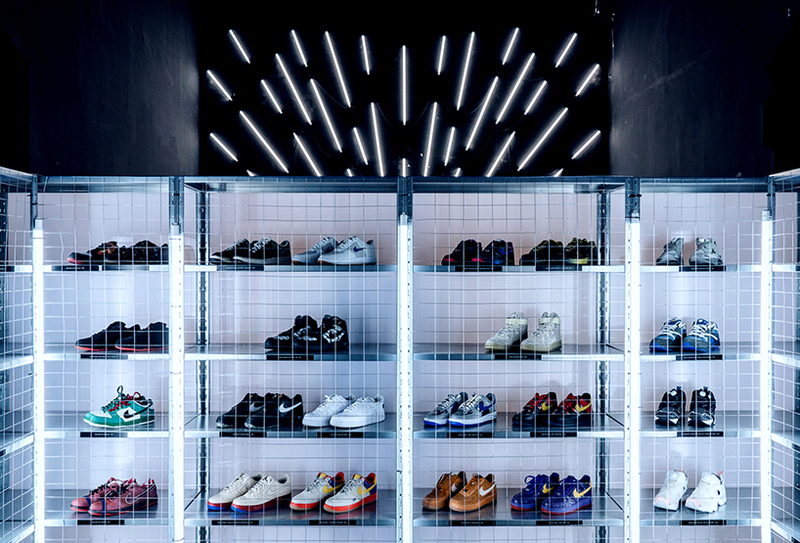 hundreds of shoes are put under glass boxes and behind metal bars — all together they represent 100 years of history of sneakers told in one of the greatest exposition ever realized.